WESTBURY, N.Y. — Nassau Police Commissioner Patrick Ryder says a vehicle tried to beat a train at a railroad crossing while the gates were down, resulting in a LIRR crash and derailment. All three of the vehicle’s occupants were killed. According to the Long Island Rail Road, the LIRR train was carrying about 200 passengers on its way to Penn Station when it struck the vehicle at the School Street crossing in Westbury. Police say the vehicle’s driver drove around the lowered safety gates moments before the train crash in Long Island. Ryder said the force of the LIRR crash, which happened near a grade crossing by a station, destroyed part of the stop’s concrete platform. “The train then leaves the track and takes out the platform and then hits the north side of the platform and takes off about 30 yards of concrete, which goes through the train,” Ryder said. Service was suspended in both directions on the Ronkonkoma and Huntington/Port Jefferson lines around 7:30 pm on Tuesday as emergency crews responded to the accident. “That’s when it got real. I’m still shaken up. You don’t know. You think you might die. I’m thinking to myself ‘It might be my last day,’” April Frazier said. According to Newsday, April Frazier said everything went quiet after the crash until firefighters arrived, and instructed passengers to remain in place. Several train passengers suffered injuries, and were taken to Nassau University Medical Center, police said. It didn’t take long for first responders to arrive on the scene of the LIRR crash to help the 200 passengers trapped on-board. Firefighters say it’s important for passengers in situations like these to remain calm and stay in place so that medics can first help those who are most seriously injured. Several minutes later, rescue crews helped other passengers get off the derailed LIRR train near the School Street crossing in Westbury. A New York train accident lawyer says passengers can often suffer severe injuries in an accident like this, and the costs associated with their injuries may become excessive. Insurance alone might not provide victims enough compensation to get them the best medical treatments possible. In addition to injured train passengers, there were two passengers in the vehicle on the tracks that lost their lives. In many cases, family members of vehicle passengers may file a wrongful death claim that could force railroads to make crucial changes that could prevent future accidents from happening. Were the train brakes functioning? Was the engineer awake and alert? Were all systems operating correctly? Were safety features properly installed and working at the time of the crash? Were the gates adequate to deter drive-arounds? Gate design – were they designed with safety in mind? Some of these victims may never make a full recovery, but answers to these questions will provide them with the best information possible, and more importantly, closure. If you or a loved one have been hurt in any type of train accident, you should contact an experienced personal injury attorney to help you through the legal process. 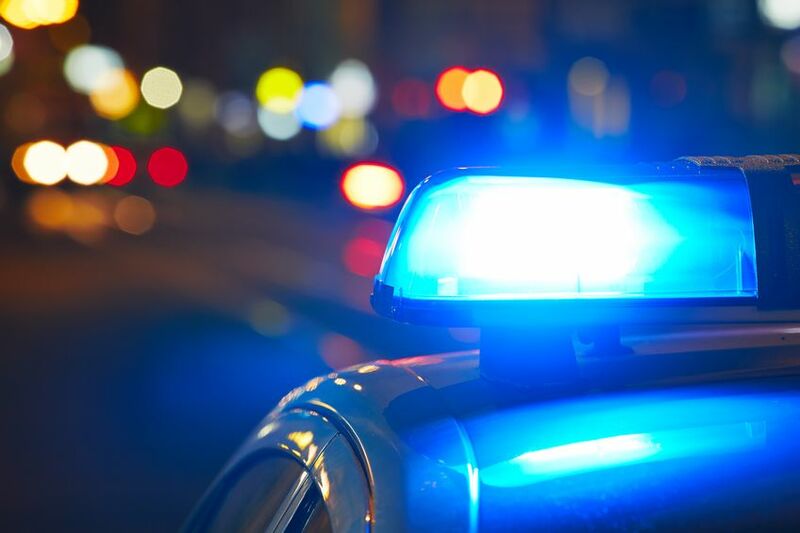 NEW YORK – Police say a Westchester middle school teacher was struck and killed by an oil truck Friday morning at the intersection of East 37th Street and Third Avenue in Manhattan. According to police, Sarah Foster, 27, was trying to cross the street when a home heating oil truck made a left turn onto East 37th Street at the same time Sarah Foster attempted to cross. A volleyball coach and sixth-grade social studies teacher at Louis M. Klein Middle School, Sarah Foster recently moved to a building on East 36th Street, neighbors told reporters. Her apartment was just around the corner from where she was struck by a truck. Police say the driver, 51-year-old Steven McDermott, was charged with failure to yield to a pedestrian and failure to exercise due care. He is due in court on April 15. Some of the most dangerous intersections in New York City are in the Murray Hill neighborhood of Manhattan. 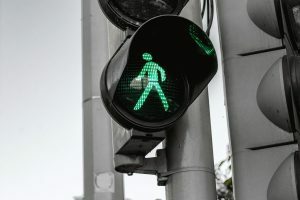 In 2018, there were 87 accidents at the intersection of 37th Street and Third Avenue, resulting in eight injuries. 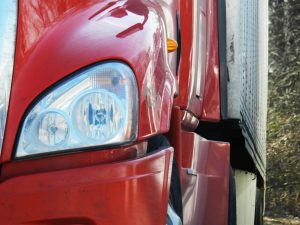 A New York truck accident lawyer says left-turns are some of the most dangerous maneuvers a driver can make in New York City, resulting in thousands of accidents each year. In fact, several companies have instructed their drivers to make only right-hand turns within the five boroughs. 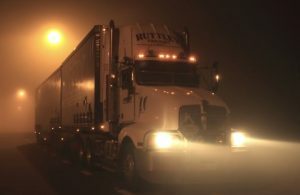 If you or someone you know has recently been injured or killed by a negligent truck driver, you may want to contact an experienced New York truck accident attorney who can help you get the best result possible from a claim. If you decide to contact Cellino & Barnes, we’ll put our best truck accident lawyer in New York on your case, so you can be confident your claim will be fully investigated, and tailored to your specific needs. Contact us for a FREE case evaluation. BUFFALO, N.Y. — Being involved in a semi truck accident can do considerable damage to your property and health. Trucks can weigh tens of thousands of pounds more than the average cars on the street. A truck accident lawyer in Buffalo says that when a truck that weighs 80,000 pounds strikes a passenger car, there is almost no limit to the amount of harm it can cause the driver of the other vehicle. Although experiencing a semi truck accident in Buffalo is unfortunate, lawyers are available to help you recover from the impact the accident will have on your life. 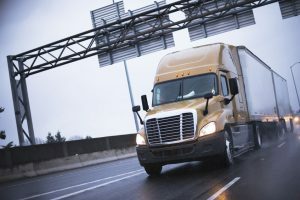 When searching for a lawyer to handle your semi truck accident case, you should make sure he or she has these four traits. A semi truck accident can cause long-term health complications that may keep you away from work for months or even years at a time. After a severe truck accident, you might not be able to return to the same job you had or any other type of work. Because of the extreme negative consequences of sustaining injuries from a truck wreck, it’s vital to choose an attorney in Buffalo with the following traits. Not every lawyer can handle semi truck cases. These cases can be far more complex than car accidents because of all the different parties that may be liable. Truck accident claims require much more attention to detail and expertise. 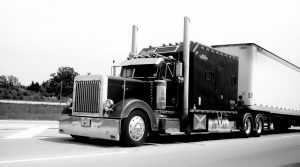 An experienced semi truck accident lawyer will know what to do to acquire the best outcome. Experience alone won’t be enough to get you the compensation you need. You need some kind of proof that the attorney you are considering has won cases like yours in the past, and can do so again. A lawyer who can prove success resolving semi truck accident cases will provide you with a far better opportunity for achieving the desired outcome. While most personal injury cases settle out of court, there is always the possibility that you will need to take your case to trial to recover the necessary damages. The lawyer you select should have ample trial experience in the event he or she cannot reach a fair settlement with the at-fault party’s insurance company. Aside from having the skills necessary to achieve a favorable result in your case, your lawyer should be personable and easy to work with. Be sure to review testimonials and client reviews to get an idea of the lawyer’s reputation and personality. Your semi truck accident lawyer should be responsive to your questions and attentive to your needs. At Cellino & Barnes, we have a team of truck accident lawyers ready to help you recover the funds necessary to move on after your horrific incident. Our lawyers have decades of experience resolving semi truck accident cases in Buffalo and have succeeded in taking cases to trial when necessary. Call us or chat with us online for a free consultation. We’re available at any time to discuss your case. What Do I Do After An Accident With A FedEx Truck? 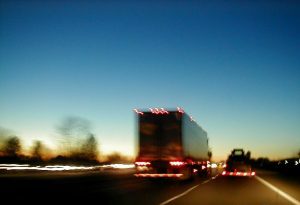 NEW YORK – Truck accidents happen every day, and they can involve all kinds of trucks. Many victims ask the question, What Do I Do After An Accident With A FedEx Truck? From big tractor trailers to UPS, Postal Service and FedEx trucks, these accidents often result in serious injuries. They can also be costly injuries, and you may need the help of an experienced Bronx truck accident lawyer to help you get fair compensation. All of this information will be helpful in the future, if you decide to contact a Bronx truck accident lawyer and pursue a claim. FedEx Corporation is one of the largest freight and delivery companies in the world. Its employees deliver nearly 7-million packages each day. That’s a lot of deliveries – and even more driving miles. And statistics show: the more you’re on the road, the more likely it is that you’ll be in an accident. 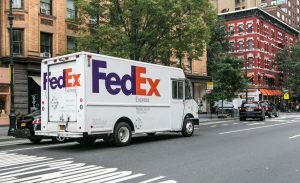 If you’ve been injured in a FedEx truck crash in the Bronx, you may be wondering, What Do I Do After An Accident With A FedEx Truck? You could receive significant compensation for your injuries if you believe the truck driver was at fault for the accident. It’s crucial to act fast when you’ve been injured in any type of accident. There are deadlines that must be met if you intend to file a claim. A team of experienced FedEx truck accident lawyers in the Bronx can help you file a claim on-time and get the best result possible. Whether that means getting a fair settlement with the insurance company or going to trial, our goal is to get you fair compensation. When you contact Cellino & Barnes, we’ll make sure your case is handled by our best a FedEx truck accident attorney in the Bronx. We’ll also use our years of experience and resources to help maximize the compensation you receive. Call us today or contact us online for a FREE case evaluation.